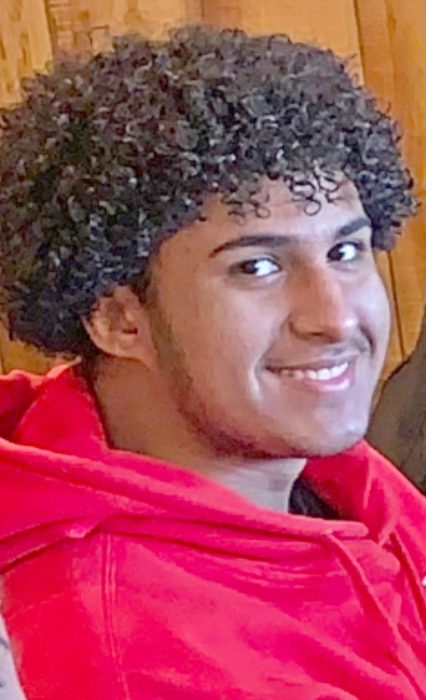 Dimas Sevilla Jr., 14 of Perth Amboy, NJ, passed away at Robert Wood Johnson University Hospital in New Brunswick on January 26, 2019 with his family by his side. Dimas was born in Edison, NJ, and he lived in Perth Amboy with his loving family. He was a student at the Academy for Urban Leadership Charter High School and loved spending time with his family and friends. He is survived by his loving parents Dimas Sevilla Sr and Julieta Adames; Cherished siblings Brenda Sevilla, Julie Lopez and her husband Jeffrey Jimenez, Maricruz and Stephanie Feliz. We will begin to leave at 9:15am on Thursday, January 31, 2019 for a Funeral Mass at 10 am at Holy Trinity Church. Interment will follow at Alpine Cemetery. Visitation will be held on Wednesday, January 30, 2019 from 5 ~ 9pm at Gustav J. Novak Funeral Home. Arrangements are entrusted to Gustav J. Novak Funeral home, 419 Barclay Street, Perth Amboy, NJ 08861.